Original Mustang Leader Board for members of the Arizona Mustangs! 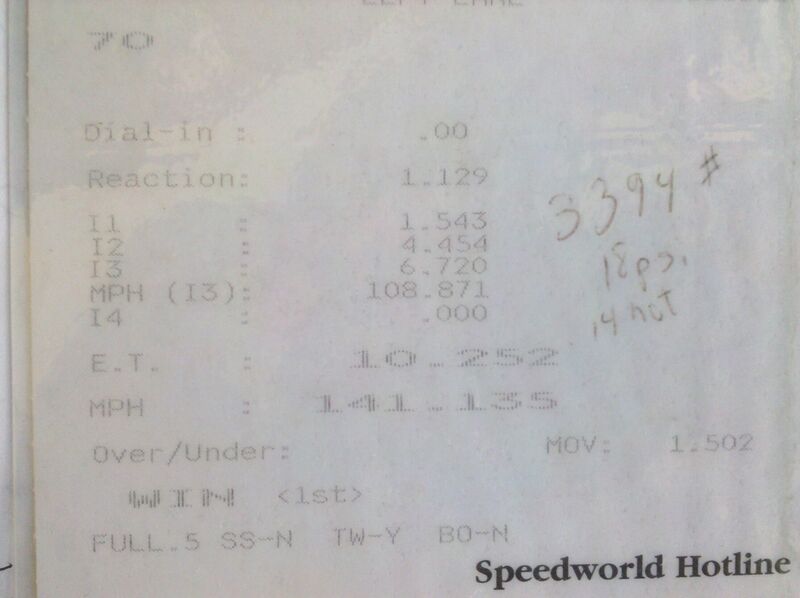 All runs were made at 1200 feet at the Firebird or Speedworld. Listings in grey have been sold. Leaderboard Average ET and MPH = 12.13 @ 114* averaged 2/05. 5. Bill No Lemon Yellow 91 GT ET Streets 10.088 @ 142 Auto, turbo, street car. Nick 50boy 2003 GT 17" ET Street 11.67 @ 128 Built engine, turbo, 6 speed. Darrell Darrell Blue 03 Mach I MT DR 11.72 @ 121 KB, IC, 1.75 60 ft.
Gael Gael 77 Mustang II Hoosiers 12.59 @ 109 394, HCI. Steve Gould 58Capri Red 03 Cobra Stock 12.61 @ 115 K&N filter only. Paul Paul Silver 94 Faleen 18" Street Tires 12.88 @ 111.2 418, heavy weight. 1. Brandon Hayduke Brandon_H 2008 F250 Street Tires 13.3 @ 101 Diesel, tuner, 1.89 60 ft.
11. Steve Jones 1st performance 2001 F250 Street Tires 17.01 @ 80 Diesel, chipped. 12. Craig cw50must 2003 Tacomo Street Tires 17.10 @ 78 Stock, 5 speed. Eric NVME88GT 96 GSXR 750 11.61 @ 120 cams, gears, full exhaust. Pass made in TN.